This is where you can share your animal’s continuing journey with their followers after their experience with HVAIN. It shows everyone what an animal can overcome, and how with a little help and a lot of love, an animal in need’s life can turn right around! Hearing and seeing the growth and happiness of an adoptee with their forever family, or the progress of an ailing animal, motivates us to help the next one! Please share your stories, achievements, and updates, so others can see the progress of the animals they followed from the beginning. Thank you for sharing, everyone loves to see a fairytale ending! I have had such a fantastic experience with Cortlyn Johnson and Happy Valley Animals In Need, that I to write to say thank you, and share just how amazingly and wonderful people I don't even know can be. 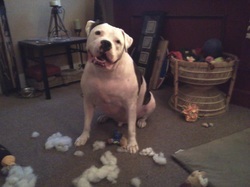 My five year American Bulldog, Lugnut, has had health problems his entire life, and he was consistantly getting worse. My name is Nadine, I am a single woman who lives alone and from a serious accident 12 years ago and a road of bad choices has left me on disability and fixed income, leaving even the most normal expenses a concern. Since Luggie was having continous problems with his health, it was getting to be too much. My dogs mean the world to me and have always been well cared for and loved with every ounce of my being. However, with his sitaution meant frequent vet visits and all of his medications it became out of hand medically that even a thorough check-up and any tests for him became very high priced. Also, because of his size and the fact of me not driving started to become a difficulty, and when I say size of Luggie, I mean huge! I have been trying everything in my power to control his symptoms, but can not afford the proper tests to diagnose why he was like this. I was feeling so guilty that it physically made me sick. One morning he woke up limping, when it didn't start to go away, I started to go into a panic. My best bud was hurting, and I couldn't just sit around and watch his health decline anymore. I saw HVAIN's facebook page, took a shot and sent Cortlyn a message of what my situation was. Within an immediate response Cortlyn replied with " Don't worry, He'll be okay. I can help" That is exactly what she did. She put Luggies picture and story up on her page, asking for donations and help of any kind. Within 2 days, Luggie had a vet appointement at Metzger's animal hospital and with the help of Christa Gallagher to transport us. Luggie had a full work-up and was then diagnosed with hypothroidism, which has been the root of all of his problems. He weighed in at 160 lbs and Dr. Griffith put him on a strict diet and hooked him up with new medication for thyroid, skin and foot. Meanwhile, the facebook post had generated so much that donations were so generous that Luggies medication was paid for in a years advance and the special brand of Lugnuts food was being dropped of at Cortlyns for me. There are so many people that I have never met, giving me words of encouragment, helping my best bud with toys,treats, a cool I.D. tag, rides and so much more! I can't thank all of these kind strangers and Cortlyn enough for everything that has been done. I have forgotten how kind people can be from my choices and how it has opened my eyes to a new world of kind, generous, loving people. 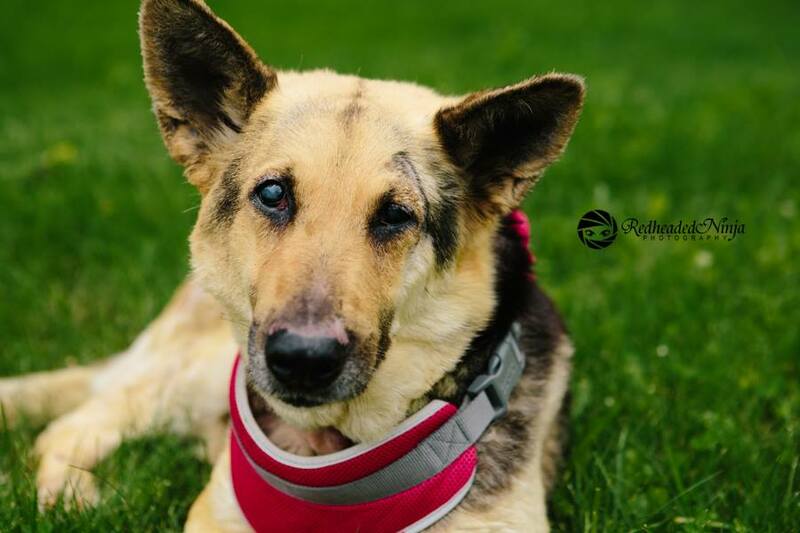 "Snickers was unable to move with her family so she ended up with HVAIN. My intention was to help out by getting her a thorough exam at my veterinarian where I happen to work. Upon meeting Snickers I Found her to be a delightful kitty. She was super affectionate and I loved her immediately. I hadn't intended on keeping her, just fostering for a while to get some weight off of her. I just love her too much to give her away. She is very happy with us and is starting to interact a bit with the other kitties. She's lost a few pounds! She sleeps on the bed every night and when I stop petting her she reaches out her paw to get me to pet her some more." - Debra H.
THANK YOU EVERYONE for helping Kim and her family! I am proud to announce that we have enough money to help get Mr. Pickles the help he needed. Thank you again and watch for updates! "My friend Kim just let her daughter know that if we can raise the money that they would keep Mr. Pickles. She has been explaining to Lilly that due to finances, they were just "baby Sitting." This has been tough because she sees these two bonding more and more everyday.... WITH OUT HESITATION- Lilly ran into her room, and came back with her piggy bank and poured it onto the floor.... Looked up at her mom and said " Here is money to help Pickles and get him better so we can keep him." ---- This is beautiful! I am so happy I was able to connect this family with this dog! Lets raise the funds so Mr. Pickles can have a long loved life ahead of him...."